This restaurant is permanently closed. Dallas restaurateurs, Larry & Karen Williams bring their taste for luxury comfort food to classic Italian Cuisine in the heart of Uptown. Executive Chef Reuben Rodriguez spins house made pasta dishes, wood-fired pizzas, and the freshest seafood into new Italian favorites for you and your family. Sallio Itallio post new chef specials on the board every day to highlight the freshest and best of the season. Join our table for Lunch, Dinner, Weekend Brunch and a daily happy hours, we can't wait to wow you! M-Line Trolley stops right in front. Service was very slow considering it was half empty. We asked about the specials and were told they were on the board- we were seated under the board so that was rather frustrating. If we had not read about the salts not sure that would have been explained. Drinks were very slow and the restrooms were like a sauna. Loved this place. Sat outside and enjoyed the patio which was adorable. Food was delicious and the service was great. Loved the different flavored salts they brought out. The owners even stopped by and said hi which was lovely. Great service and delicious food. We will be back again soon. Loved everything about this place! The food was absolutely delicious and service was fabulous! The food is consistently good here. We are regulars, and we appreciate the wonderful service. We hear that there is a lot of turnover in the kitchen, which is a surprise given the consistency of the food. They don’t seem to be very busy, so I hope they stay around. We don’t see much about the restaurant on social media, so if they are having special events, we aren’t hearing about it. My husband had the mixed grill special and I had the cioppino. Both were excellent. The Brussels sprouts starter was amazing. I highly recommend the bread pudding with the praline ice cream. Playing around with all the table salts was fun as well. The staff were friendly and attentive. I love this place. Waitress forgot drinks a couple times and was slow to bring check after dessert. She was very friendly and otherwise really good. We’ll be back, patio was very cute and loved the custom salts. Food and service was great. Excellent service provided by Jordan. Great neighborhood new arrival. Good food and great service by Gonzolo. Will definitely return. Good restaurant. What concerned me is the menu was limited because they were out of the Fondue, Chicken Ravioli, Calamari, Mussels, Pork Chops, and a white wine. The portions were small in comparison to other restaurants in the area. I went for the first Drag Me to Brunch event, and it was so much fun! We will be back to experience this again. Great entertainment, food, drinks, and service. Food is poor quality though the array of salts offered is an interesting and thoughtful addition. Really the food is sloppy and not restaurant quality. Our server/bartender however was great and extremely attentive. Great customer service! Very friendly atmosphere. I was mortified to have suggested it for our evening out. The decor is bad diner, they had run out of everything on the menu.. it was a complete disaster! We arrived for 9:00 pm Valentine’s Night Res. By 10:30 we had not received our food, just bread & wine, so we left without eating. It took two hours to get our food. The server was amazing, they gave us a free meal, but we did not plan on being there for 3.5 hours with 2 hours between appetizer and main course. They need to work out the kitchen kinks. Excellent food and service in a pretty restaurant. Chicken piccata was outstanding. Will definitely return! Went to Sallio’s last night for a date night, and i am absolutely in love. The food was out of this world (I had the Lamb Surf n Turf and Clams as an app), the ambiance was unparalleled, and the staff was beyond amazing. Stephanie (I hope I spelled that right) was our waitress, and her enthusiasm, attentiveness, and outgoing personality made us feel like we were at home. Karen, one of the owners spent time talking with us as well, and she one of the most kind, passionate, and genuine individuals I have ever met. Additionally, the cocktails were especially delicious, and one of the bartenders, Jessica (I’m terrible at names) made the experience even more elevated with her bubbly personality. Make sure to save room for dessert, because their Bread Pudding is out of this world (Even better then NOLA). We will definitely be back for many more Sallio experiences! Thank you for making our date night so special!! It was outstanding! Great cocktail list as well as fun seasonal ones. The space is beautiful and the service exceptional. We ordered the calamari for appetizer and when we asked our server about the fish option vs. the pizza she incredibly answered the pizza ~ it was spectacular! Just appreciate a server that suggested a $15 price point less because we told her what we liked. This was my second time eating there and it was great. I brought a friend with me and he loved it. I will most definitely be dining there again! Great experience! Food was delicious and loved the salt varieties! I love the made from scratch italian food at Sallio Itallio! The waiters and staff work very hard to make sure everyone is happy. This is my new davorite reataurant!!! Went early for a quiet dinner. Food was straightforward in an "italian red sauce" kind of way. Nothing will knock you socks off, but the food was fine and the service attentive. Try the bread pudding for desert. Food was great, service was terrible. Would not go back. The service was excellent for the late brunch, we will definitely come back for dinner. Lots of salt choices to make each bite different. Menu changes twice a day! They may not have their game together yet, having only opened 2 weeks prior, but overall left with a very lackluster impression. Service overpromised and underdelivered on numerous items and got the bar order wrong. Was intrigued about the concept of expanding palate with custom gourmet salts, but to do so, you can't salt the food as aggressively from the outset. I prefer much less sauce on the pasta in order to let the flavor and chew of the pasta itself to ring through. Manager also didn't take time to engage us with open questions to solicit some well-meaning feedback. I'd recommend using "What could we do to enhance your experience next time?" There are far better choices available in town. Frequently sit at the bar for conversation and more attentive service. And please don't make me ask for a drink when mine is empty. It's a great location in Uptown. Improve on the service and the place can be a success. The food was not good. Plain and simple. The salad was way overdressed and the dressing was cloying. The blue cheese grits that came with the lamb were inedible. WAAAY too much salt and blue cheese. The lamb was good though. My friend and I asked for double vegetable instead of the grits and they didn't do as requested. The atmosphere is so lovely that I REALLY want to like this place. I gave it another chance and again, the food was disappointing. The lettuce was lukewarm, salad was fair. The waygu meatballs were too salty and did not taste good. The sauce was too spicy and overwhelmed the meatballs. My friends chicken was bland. We told the waiter that we were unhappy with our meals. He deducted a sizable portion off the bill and gave us a card for complementary dessert to use in the future since we didn't want desert that night. The restaurant handled the situation beautifully but I am afraid I wont go back because of the poor quality of the food. I am perplexed as to why the food is so poor since i really like their other restaurant Salio's in the Forest /Preston shopping Center. What a treat. They have only been open for a week but they are already knocking it out of the park—a tribute to their leadership in this industry. The food was delicious and the service was flawless. This is not a spaghetti and meatball/lasagna kind of Italian restaurant. It is upscale with a wide variety of offerings. The portions are generous so there was no room for dessert. However, they sounded wonderful! We eat at Sallio Itallio on last Friday during their soft opening. Food was great, but the lack of menu and server who was not knowledgeable of the offerings weighed the experience down. Hopefully they get the bugs worked out soon. 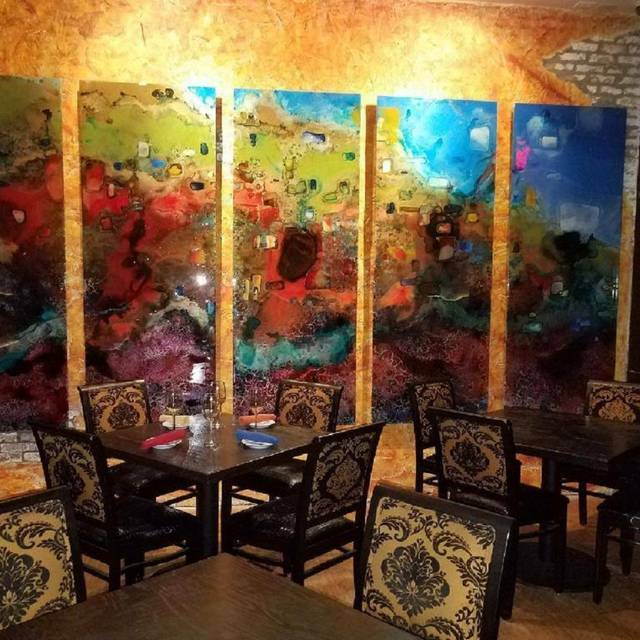 We are a big fan of Sallio Bisto, the Mediterranean restaurant at Preston and Forest, so we visited Itallio with great expectations. We has the pasta dishes (Carbonara and Bolognese), and they were very original with fresh-made pasta. We will return for the food, so we hope that the experience improves with time.